Montag, 18.00 bis 20.00 Uhr, c. t.
With The Birth of the Art Market. Rembrandt, Ruisdael and van Goyen and the Artists of the Dutch Golden Age the Bucerius Kunst Forum presents the first large-scale exhibition devoted to the birth of the art market in the Golden Age of the Netherlands. Tracing the careers of artists such as Rembrandt, Ruisdael, van Goyen and many others, the exhibition explores how the transformation of Dutch society during the seventeenth century brought forth a new art market, with artworks tailored to its demands. Artists, art dealers and their workshops had to keep pace with the evolving market situation, leading to art prices ranging from just a few Dutch guilders to astronomical sums. The Birth of the Art Market: Rembrandt, Ruisdael, van Goyen and the Artists of the Dutch Golden Age is the first exhibition curated by Prof. Dr. Franz Wilhelm Kaiser in his new role as artistic director of the Bucerius Kunst Forum. The exhibition features master works on loan from internationally renowned museums and collections, including the Rijksmuseum, Amsterdam; Museum Boijmans Van Beuningen; National Portrait Gallery, London; Dresden State Art Collections, Old Masters Picture Gallery; Staatliche Museen zu Berlin, Gemäldegalerie; Hamburger Kunsthalle; Bavarian State Painting Collections, Alte Pinakothek; State Museum of Schwerin/ Ludwigslust/ Güstrow; Museumslandschaft Hessen Kassel, Gemäldegalerie Alte Meister; The Kremer Collection, Leipzig Museum of Fine Arts; SØR Rusche Collection, Oelde/ Berlin; National Museum in Warsaw; Liechtenstein, The Princely Collections, Vaduz/ Vienna; and other museums and private collections. Please find the press release below and attached to this email. 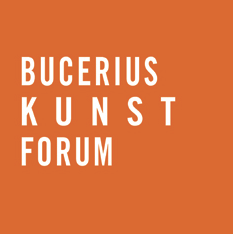 Do not hesitate to contact the Bucerius Kunst Forum’s press department (below) for high resolution press images. 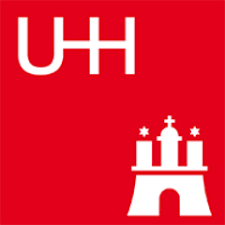 The press preview takes place on Thursday, 21 September 2017, 11 a.m. at the Bucerius Kunst Forum in Hamburg, Germany.